No doubt, Scribblenauts is an amazing puzzle game series. If you also like the video game series, the following Scribblenauts Unmasked mini figure series 1 may be able to catch your eyes. 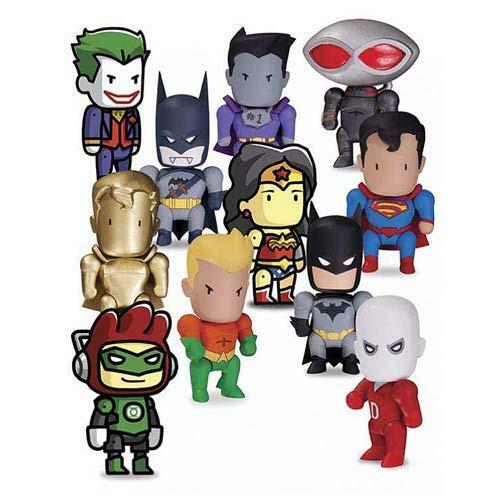 This is a pretty cute mini figure series inspired by on Scribblenauts Unmasked, a well-received video game based on popular superheroes from DC Comics. As we can see from the image, the mini figure series contains 11 different designs, each one sports a powerful superhero or supervillain including Batman, the Joker, Superman, Wonder Woman, Aquaman, and etc, moreover, each mini figure features adorable cartoonish design with those iconic details from their original design, apart from that, the mini figure measures 2-1/4 inches and comes with several points of articulation. The Scribblenauts Unmasked mini figure series 1 is blind packaging, a 4-pack costs $16.99 USD. If you’re interested, jump to Entertainment Earth for more details.